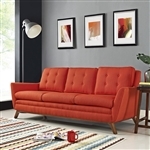 Discount sofas for sale online. Free shipping sofas from Global Total Office, Mayline, and OFM. 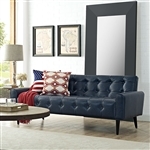 Shop leather sofas, modern sofas, and designer fabric sofas today at up to 60% off retail. OfficeFurnitureDeals.com is proud to offer comfortable sofas for office waiting areas. Our lounge sofas, reception sofas, and lobby sofas will leave a lasting impression on your valued office visitors. Purchasing multiple sofas of your corporate waiting areas? Contact us toll free at 800-456-6746 for bulk discount pricing. Your Price: $695.99 *Quantity Discounts Available! Your Price: $872.75 + FREE Shipping! Your Price: $1,639.50 + FREE Shipping! Your Price: $1,193.00 + FREE Shipping! Your Price: $1,048.25 + FREE Shipping! Your Price: $814.75 + FREE Shipping! Your Price: $1,196.75 + FREE Shipping! Your Price: $499.99 *Quantity Discounts Available! Your Price: $1,199.00 *Quantity Discounts Available!